I know very little about my great grandfather Silvio Schiff. His father was Federico Schiff, born in Mannheim, and later of Milan and Gradisca, who was married to Adele Cohen of Trieste. I do not know if he had any brothers or sisters, or when he was born, but my grandfather told me that he was born in Venice. I was told by my grandfather that Federico was an ironfounder in Venice, so that may be the reason for Silvio's birthplace. I knew that Silvio was some kind of engineer, and the story was that he was involved in the development of naphtha as a fuel, and that he was also responsible for the installation of gas lighting in Tunis, but I have not been able to corroborate this. However, although I use the term naphtha, I believe that in Italian this can indicate diesel fuel, which makes more sense. 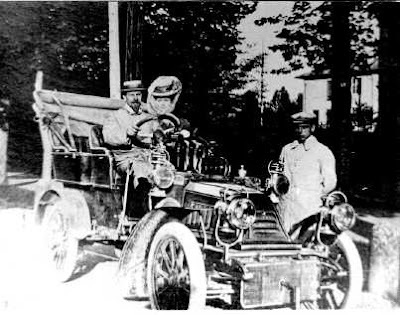 Silvio was married to Emilia Finzi, daughter of Constantino Finzi and his wife Emma Teglio. I believe Constantino Finzi was a coffee wholesaler, born in Ferrara, but whose business was in Genova, home of his wife and her family. 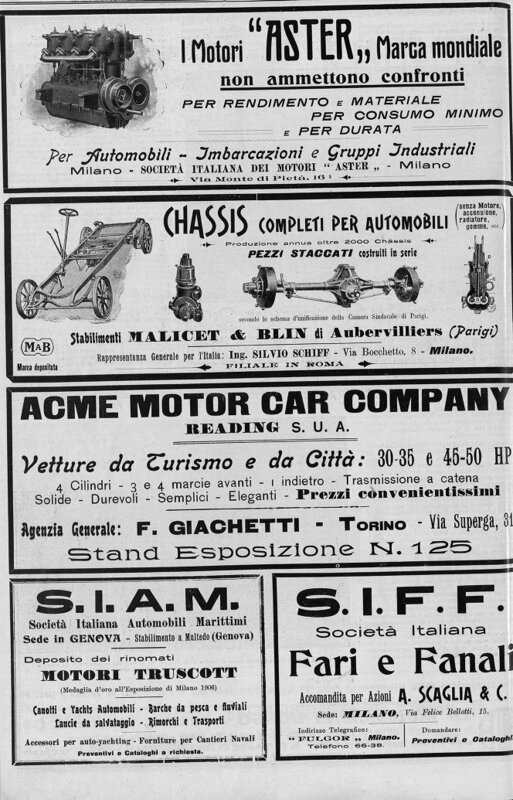 I do not know the date of Silvio's marriage, but their son, my grandfather Giulio, was born on 14th August, 1904. Emilia died of consumption on 14th November 1911, when my grandfather was just seven years old. 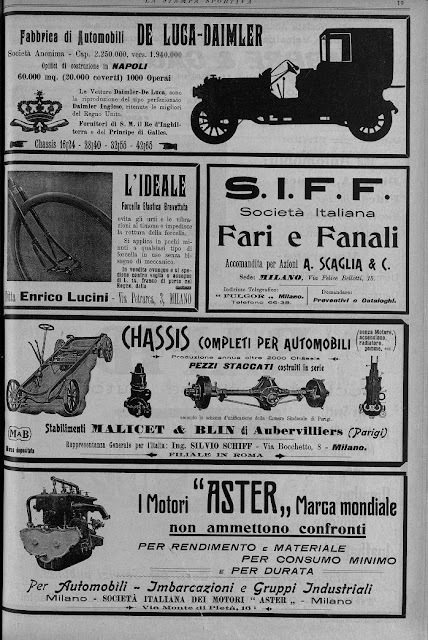 It was following this that Silvio moved with his son to Salò, for an unknown reason, and it was my grandfather's primary schoolteacher, Giulia Grana, who became Silvio's second wife, bearing him four children. The eldest, the patriotically named Italia, was born in Salò in 12th December 1915. She was followed by Umberto in 1917, Albino in 1920, and Gino in 1926. When I visited my grandfather at Peschiera in the summer of 1970 he kindly allowed me to photograph the images that are displayed here. 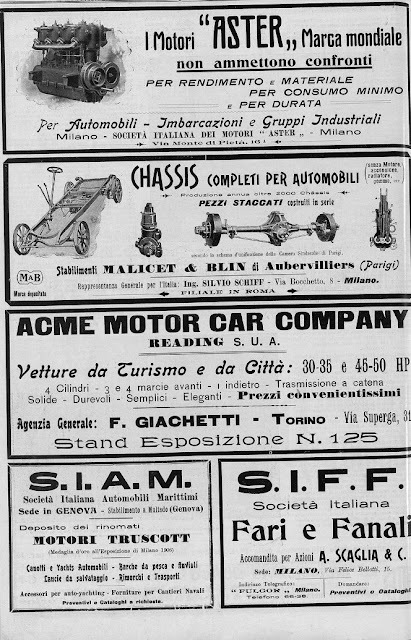 A couple of tiny snapshots showed Silvio and Emilia with an early motor car. I always imagined that these were posed photographs, possibly with a hired car, but I have just discovered that I am wrong. 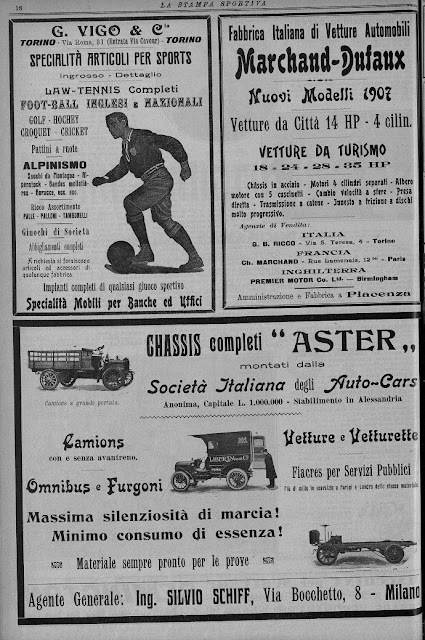 Throughout 1907 a series of advertisements were placed in the sports supplement of the Turin newspaper 'La Stampa' which show that Silvio was not only qualified as an engineer, but that he was the agent for Italy for a firm of French car manufacturers. 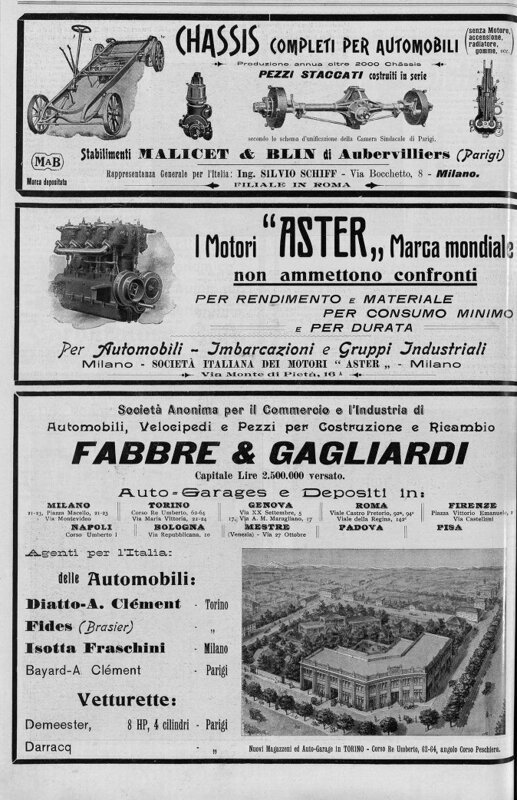 My great grandfather somehow survived the war as a Jew in Salò, dying there in about 1948, not long after he had held his first great granddaughter, my elder sister Valerie, who was born in 1946. Brilliant research again Franchino.....really appreciate all your hard work....Thanks for all the information you provide for us on our very interesting, creative and talented family! You are amazing!